October is breast cancer awareness month and these five pink beauty buys give back to various charities in support and honor of this great cause! Shiseido Veiled Rouge Lipstick in Pomegranate (pk405) and Skyglow (pk304) ($25; shiseido.com) - For the ninth consequtive year, Shiseido has partnered with CEW, wherein $5 for every Veiled Rouge in Pomegranate (PK405), Skyglow (PK304), or Sloe (RS308), will be donated to the non-profit organization dedicated to supporting working people living with cancer. The Veiled Rouges are perfect for anyone wanting a sheer wash of color and glossy shine. These two beauty buys with a great cause are available in stores and online. Vapour Organic Beauty Elixir Plumping Lip Gloss in Honor ($22; vapourbeauty.com), a gorgoeus shimmery warm pink, 30% of proceeds from the sale of Honor during the month of October, through the year goes to benefit towards Breast Cancer Awareness and Research. Vapour’s lip glosses are all natural, use mineral pigments and the formula is pretty amazing. Honor is created for a special cause and definitely worth picking up a tube of, if you are a lipgloss lover. dedicated to advancing the world’s most promising research to eradicate breast cancer in our lifetime. Infused with Tourmaline Ion Technology, it retains heat longer and heats up faster, eliminating frizz and flyways. 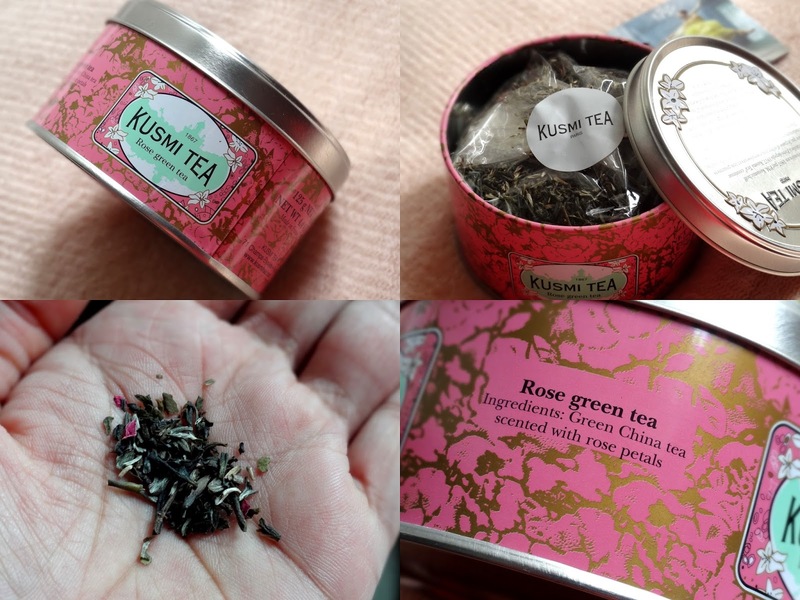 Kusmi Rose Green Tea for Breast Cancer Awareness Month ($17.50; kusmitea.com) - 20% of the proceeds on all sales of Kusmi's Rose Green Tea, from October 2015 to May 2016 will be donated to the Breast Cancer Research Foundation. Kusmi’s Rose Green tea is a subtle blend of Sencha Green Tea and rose petals. Its a fragrant, calming tea, great for morning and early evenings, and perfect with a dash of honey. Elemis Pro-Radiance Illuminating Flash Balm Pink Edition ($50; timetospa.com) - Elemis’ Illuminating Flash Balm is a hybrid moisturizer/primer that adds a fresh glow to skin, minimizing pores and making it look healthy. The Pink Edition comes with a pretty pink iPad case and Elemis has pledged to donate £10,000 to Breast Cancer Care, a breast cancer support charity and turns its best selling Flash Balm pink to show its support of this extraordinary work. The Pro-Radiance Illumination Flash Balm is great before makeup and makes for a clean canvas with a slightly dewy finish which I love.